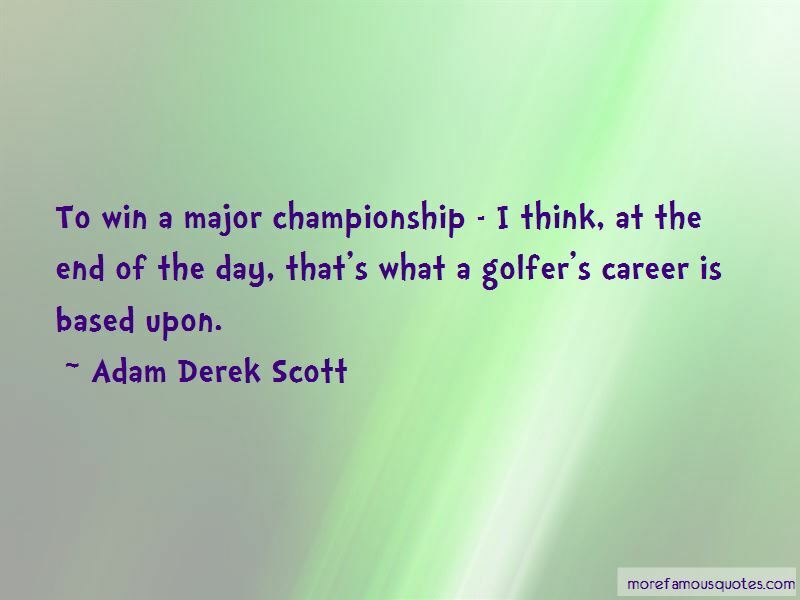 Enjoy the top 9 famous quotes, sayings and quotations by Adam Derek Scott. The good part is if I play a solid round of golf, it will be very hard for the others to beat me. And that's all I'm thinking about. There's one guy who inspired a nation of golfers, and that's Greg Norman. He's been incredible to me and all the great golfers. 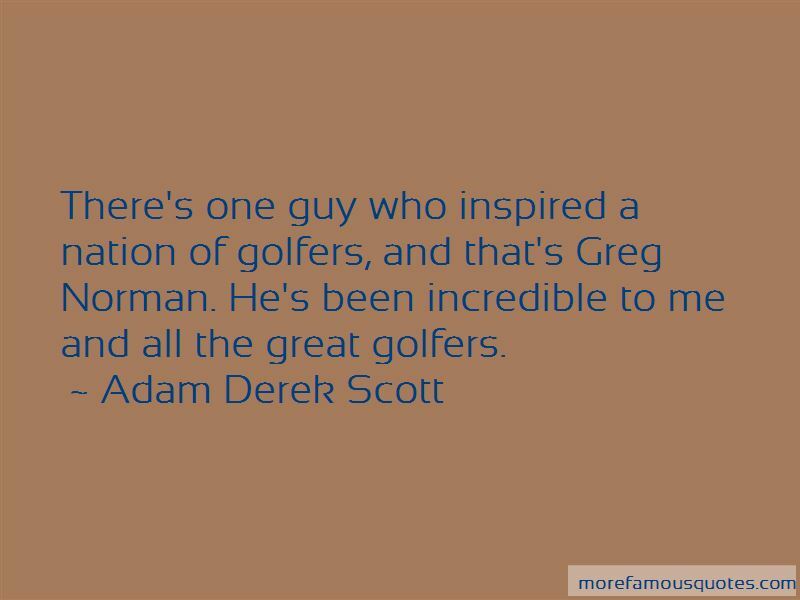 Want to see more pictures of Adam Derek Scott quotes? 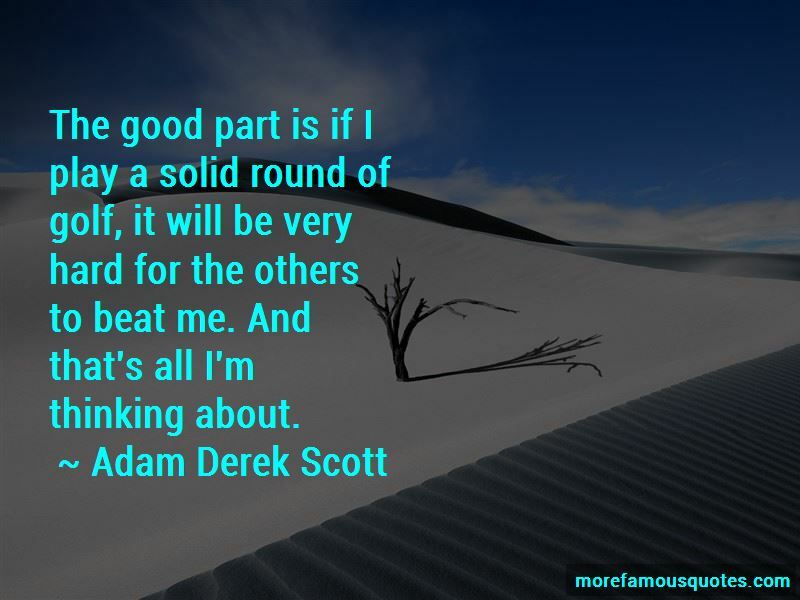 Click on image of Adam Derek Scott quotes to view full size. “In life we come across people who ditch us, break us. But we still continue to trust. We are scared of getting hurt” — Anonymous.